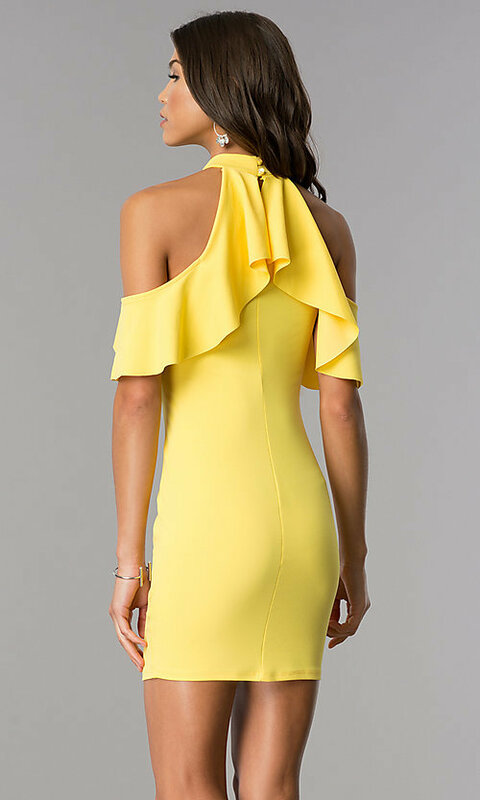 This short wedding-guest dress is a lovely youthful style. 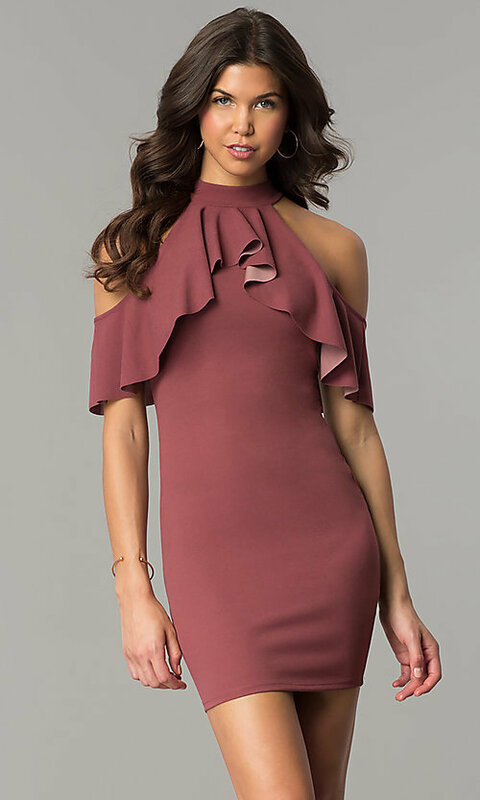 The high-neck dress has trendy open shoulders with adorable feminine ruffles that trim the cut-in shoulders before wrapping around to the keyhole back. In soft jersey-spandex fabric, the cold-shoulder mini dress skims the curves for a sultry look. Under $50, this short wedding-guest dress is a cute style and a lively option for any semi-formal event.